NATIMS made its position known via a press statement signed by its Chairman, Dr. Jonahs Bankole, and made available to newsmen in Lagos. Bankole stated: “Two recent incidents where two ships, Antigua and Berbuda-flagged MV Drago J with 470 twenty-foot equivalent of containers and MV Torco Clairvaux, respectively, sneaked into Nigerdock facility at Snake Island Integrated Free Zone, Apapa on January 19, 2016, and Ladol facility on December 16th, 2015, leave much to be desired. 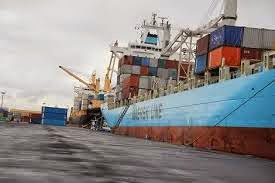 “We in NATIMS know that, going by the rules, NPA provides pilotage for any ship/vessel that enters Nigeria’s territorial waters and we wonder how the two ocean-going vessels berthed illegally at Nigderdock and Ladol facilities without NPA noticing them.